24/7, 365 days a year we are here to provide the most dependable freight transportation service. We have over 20 years experience and know the freight transportation industry in and out. 24/7, 365 days a year we are here to provide the most dependable freight transportation service. We have over 20 years experience and know the freight transportation industry in and out. WE PROVIDE: Flatbed, 40 FT Hotshots, Stepdecks, Double Drops, Vans, Expedited Team Drivers, Partials, LTLs and Containers. Our Company provides safe and reliable freight shipping transportation services and is committed to economic, social, and environmental sustainability. We believe in Performance, Reliability, Leadership, and Solutions. WE OFFER: Technology Services, Cutting Edge, Real Time Internet Shipment Tracking, On-Time Status Service, Paperless Imaging System, Customized Reports Weekly or Monthly. We have recognized the necessity of investing in the most advanced technology available. We strive to provide our customers, drivers and staff with the best state-of-the-art tools available. CARRIER BENEFITS: Quick Pay Options, Fuel Advances, All “In House” Payables, 24 Hour Dispatch, Tracking, and Quality Loads. Our freight trucking company provides professional certified drivers and we are available 24/7, 365 days a year. Premier Freight Logistics, Inc. is here to provide the most dependable freight shipping and transportation service. We have over 20 years of experience and know the freight transportation industry inside and out. 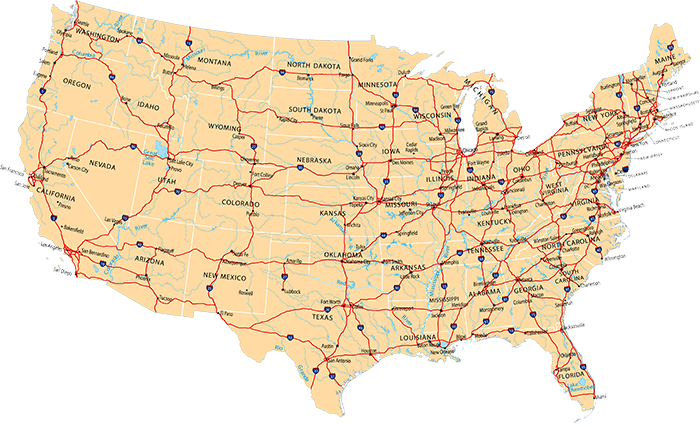 Premier Freight Logistics, Inc. works daily to provide dedicated freight services and high-level logistical support to clients throughout the United States. Premier Freight Logistics, Inc is a Houston, Texas based freight shipping and logistics company that provides all types of transportation services to all the lower 48 states. Please contact us with any shipments going in and out of the United States, Alaska, Canada, or Mexico. We provide quick, efficient solutions with professional support for all your freight shipping needs. Copyright © Premier Freight Logistics, Inc. All rights reserved.